Yes we have returned to the Coquille River Lighthouse where we volunteered last May. We will be here on the South Oregon coast until October. We will spend part of our time as volunteers at Coquille River Lighthouse and the other part of our time as volunteers at the Cape Blanco Lighthouse. Since we will be near Bandon for 5 months, I am not sure how many new things we will have to write about. I am going to try a new format for the blog. Doing only one blog entry a month and then trying to remember what we did or saw during that month, has proven too difficult. 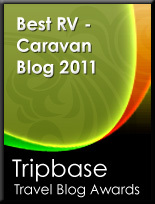 This format I borrowed from Sue over at Mytrip Journal RV Wanderer 2012. I am going to try to write summary entries each day and keep the daily Bird List up to date. I haven’t quite worked out how often I will post the entries. So far the weather has been better than this time last year, with only 2 days of rain. We are off to a really good start in getting in our walking and birding each day. I think we have spent more time birding this past week than we have for the past few months. I guess the nice weather helps. Today we moved into our official Lighthouse Host site. Also today, all of the May volunteers arrived since we have an orientation meeting tomorrow at 10 AM. We started our day with the Monday morning volunteer breakfast. Only 3 couples there as most of the May people hadn't arrived at Bullards Beach yet. We spent the day settling in to our new site, getting the laundry done and visiting with returning volunteers from last May. Today we had an Orientation Meeting to meet all of the other Volunteers and to go over forms and procedures. Since we had done all of the Orientation stuff last year we only had to sit in on about 90 minutes of the meeting rather than an all day thing like last year. We were off the rest of day and spent most of it walking around the park birding and chatting with the other volunteers. In the afternoon, BJ, our neighbor from the Volunteer Village at Kartchner Caverns, came by to spend the night in our campground. We went out to Bandon’s very good Mexican restaurant and she filled us in on her first experience as a Lighthouse Host at Yaquina Head Lighthouse for March and April. This past March had record breaking rain along the Oregon Coast. 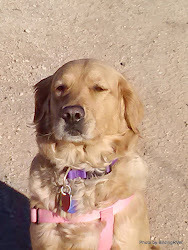 We look forward to seeing her again when we return to Kartchner Caverns State Park in November. We had a lazy morning at the computers and a brief morning walk looking for birds. After lunch we went out Birding with friends John and Sue from Mytrip Journal RV Wanderer 2012. John and Sue are in their second season here as “Plover People”. Their job is to keep Western Snowy Plovers from being disturbed during breeding season. Western Snowy Plovers are considered "extremely endangered" here in Oregon. We birded the Coquille River from Bandon to the town of Coquille following the river up its north bank and then down its south bank. Once we returned to Bandon we stopped at Coquille Point to look for the Tufted Puffins that have been reported there. However, we did not see any. With one final stop at the mouth of the Coquille River we headed home just ahead of the rain. Every day of Birding is a good day and we saw a good variety of birds. Today was our first day to get the Lighthouse ready to open for the season. It has been shuttered and boarded up since the 1st of October. First thing to do is clean out the cobwebs, mop up the water from the leaks (the windows at the top of the tower leaked again this year) and a lot of sweeping out all of the sand that has blown in through cracks over the winter. Once things were pretty much cleaned, we brought in the displays and tables for the gift shop followed by all of the merchandise. There were 6 of us that worked on all of this, so things went fairly quick. Since the rain stopped for the afternoon I spent time digging the sidewalk to the lighthouse out from under all of the sand that had covered it since last season. With sore backs we stopped work about 3:30 and called it a day. As we arrived back at the trailer the showers started up again. With the wind, high surf, waves breaking on to the jetty and the river running very high, it was a very scenic and dramatic day. We were a little surprised by the number of people that came to the lighthouse on a Thursday afternoon in early May. We had to turn away 20 people who wanted to tour the Lighthouse because we just weren’t ready for the public. Weather: We started the day with rain but, it cleared up just after sunrise. Wind picked up as the day went on. Today we finished getting the Lighthouse ready to open for the season. For whatever reason the Park has decided not to open the Lighthouse until Monday May 7th. Since we are off Monday and Tuesday we will be having 4 days off. The rest of our day was spent getting groceries and getting in an afternoon walk and some birding. As the day progressed it got windier and colder keeping the number of birds we saw down from our previous days. So I got together some samples of my bracelets and whipped up some fancy dog bling to show them to her. I am very pleased to say she wanted to show off several items right there on the spot, but I didn’t have a secure display with me! Now I have several projects in the works to possibly earn a little spending money! I am really thrilled! Today was a lazy morning and it was cold outside. When you decide to make a second pot of coffee you know that you aren’t going to get a very early start to your day. Once we had decided that it had warmed enough to go out we took our binoculars and started walking the campground loops. On these walks we also walk over to the boat ramp to check what birds are on the Coquille River. Although it was windy wearing sweatshirts and down vests it was pretty nice out. We decided to extend our walk and checkout the birds in some parts of the park we hadn’t been to yet this year. We did see some birds but, not really a lot due no doubt to the wind. The most notable bird was a perched Rufous Hummingbird! He was “people watching” us, showing off his beautiful red copper gorgette. Always fun to see! So we drove over to the river for an unobstructed view to the east to watch moonrise. We joined with fellow volunteers John & Sue and Don & Karen at a picnic area near the river. Of course when people drive by and see other people standing around in a parking lot they wonder what’s going on. We had about a dozen cars gathered by the time the Moon came up. Yes, it was a very pretty Moon. However, it didn’t seem any bigger or brighter than any other full moon to me. Here are couple of pictures I took of the “Super” Moon. I like the new formst an d I am sure it will be much more user friendly for busy volunteers! !there for a minute we had the same wildlife count rabbits an d squirrels and we even have chipmunks...then you trumped me with the harbor seals!! Great pix of the moon! I really wanted to see it but it was raining here. Super Moon pic! Have fun! That is awesome! I like the new format too! Your full moon pictures are beautiful! welcome back to the Oregon Coast!..hope that you will enjoy your stay in Bandon and then at Cape Blanco!..too bad we aren't heading that way this summer, would have been great to meet you both! !